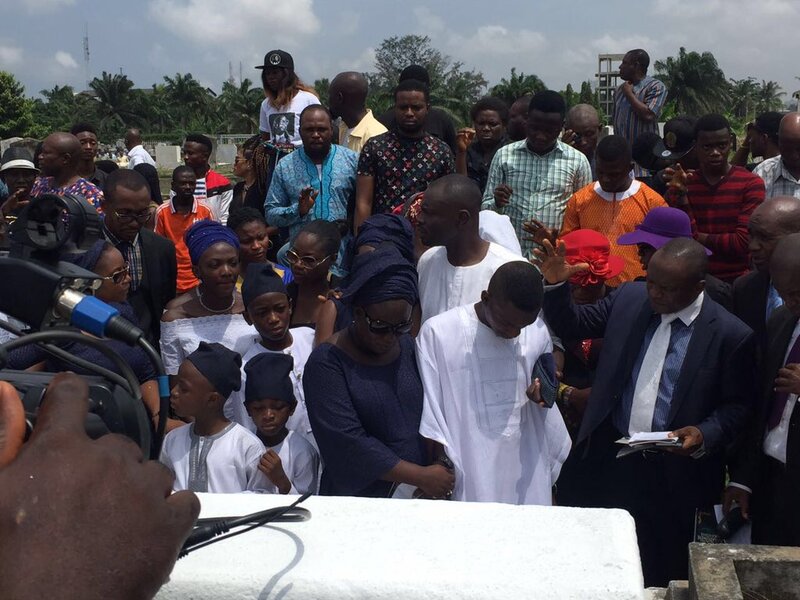 Sad Pictures from OJB Jezreel burial ceremony at Ikoyi Cemetery. OJB Jezreel burial.This is one of the saddest things ever.Seeing him lying there in his coffin,all at 50?When he had his whole life ahead of him,little children,3 wives,plus all the pain and trouble he went through trying to get a kidney replacement.Life is so unfair.There are evil men all over the place,there are terrorists,there are thieves,even men robbing Nigerian blindly,yet all these people are alive and he is dead.Very sad. The producer/singer Jezreel was finally buried today, Friday, July 9, 2016. The funeral service of popular music producer, song writer and singer who passed on on Tuesday, June 14, 2016, following complications from his 2013 kidney transplant, began with Lying-In-State at his residence, at 4, Gbaja Street, Surulere, Lagos. A service at The Redeemed Christian Church of God, Grace Chapel, Ogundala Drive, Surulere, Lagos, followed. He was sadly buried at Ikoyi cemetery, shared the same grave with his mother, Mrs. Isabella Abiodun Okungbowa, who died on Tuesday, April 9, 2002.Joining his mother so soon. The saddest thing when someone dies so young are the children they live behind,seeing OJB Jezreel children here at his funeral is the saddest thing ever,that little child crying,what do you tell her? How do you tell her she will never see her daddy again? Terrible,life can be so unkind.